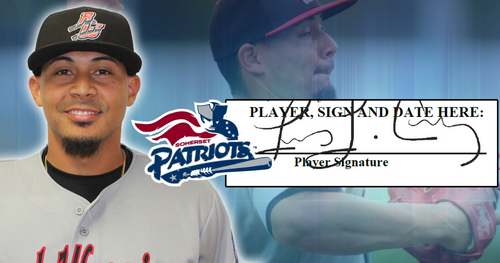 Bridgewater, NJ- The Somerset Patriots have signed 2018 Atlantic League left-handed pitcher Luis Cruz for the 2019 season. 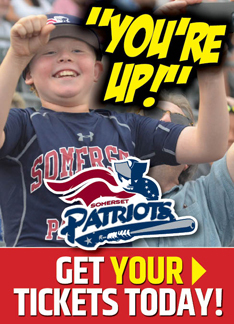 Cruz enters his first year in Somerset and second season in the Atlantic League. The southpaw reliever shined out of the bullpen for the Road Warriors in 2018. He finished the season 1-2 with a 2.51 ERA and a 79/25 strikeout-to-walk ratio in 44 appearances (two starts) over 71.2 innings of work. Cruz also recorded two saves on the year. The San Juan, Puerto Rico native led all Road Warriors pitchers (minimum 30 innings) in ERA, WHIP (1.24) and K/9 (9.92). He also finished fourth on the team in innings pitched despite working the majority of the season as a relief pitcher. In fact, 25 of his 44 appearances in a Road Warriors uniform went for multiple innings. Cruz got off to a hot start with the Road Warriors last year. He allowed just one run over his first 12 appearances (0.49 ERA) to begin the year, before also tossing nine consecutive scoreless appearances to end the first half. The 5’9” lefty allowed an earned run in just five of his first 27 appearances leading into the All-Star break: good for a 1.58 ERA. He was one of three Road Warriors selected to the Midsummer Classic on Long Island, where he tossed a scoreless inning of relief. The former Houston Astros’ farmhand led the Atlantic League amongst pitchers with at least 30 relief appearances in innings pitched (71.2) and strikeouts (79). Additionally, Cruz excelled against the Patriots, limiting his future team to one run over 11 innings of work (0.82 ERA) in seven appearances. Cruz spent one season as an All-Star with the Joliet Slammers (Frontier League) prior to joining the Atlantic League. He went 5-5 with a 3.23 ERA and 67 strikeouts over 61.1 innings as a 12-game starting pitcher for the Slammers in 2017, en route to an All-Star Game selection. Before Joliet, Cruz spent the first eight seasons of his professional career in the Astros organization, including 28 games (19 starts) with Triple-A Fresno in 2015. He was named an MiLB.com Organization All-Star in 2013 after he posted 10 wins and 150 strikeouts over 130.1 innings in time split between High-A Lancaster and Double-A Corpus Christi. Overall, Cruz tallied 49 wins and 746 strikeouts over his eight years in the Astros organization. The 28 year-old was originally a ninth round draft pick by the Astros out of Academia Santa Monica in 2008.